Kodacolor II was the standard Kodak professional color negative film for pretty much the entire 1970s and into the 1980s. Its reputation for survival isn’t good. It’s quite likely it earned that reputation for poor performance when out-of-date, honestly. It did for me. I checked and double-checked the bright black-and-yellow cassette with its zebra-striped ends, and it is definitely C-41 film. That’s the same color negative process used in drug stores and pro labs for the last 40 years. I rated the 41-year-old ASA 80 film (expired in July 1977, but expiration date is typically two years from date of manufacture/packaging) at ASA 20, which should’ve overexposed it by about two stops. I was generous in my exposures, too — typically letting the meter fall on the side of overexposure when dead-center wasn’t possible. I didn’t take any pictures with it that were really stunning, I’m sure. 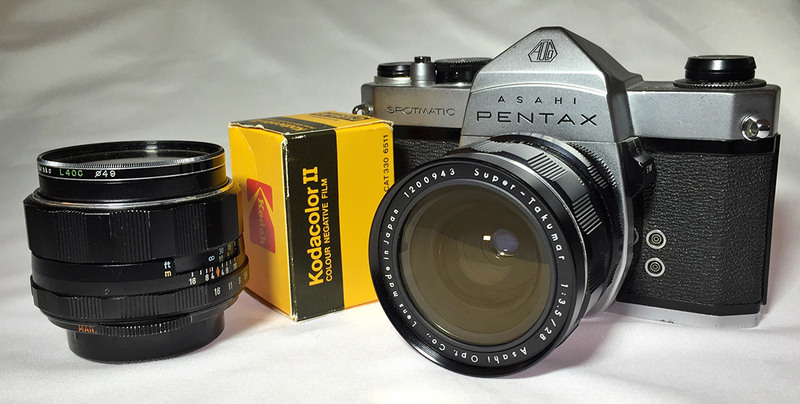 I used my Asahi Pentax Spotmatic SP with a Super-Takumar 28mm f/3.5, all known-good gear. I backstopped the meter with my iPhone Light Meter app before I loaded the camera. I dropped the film off with my pals at Englewood Camera along with the rest of my Expired Film Day C-41 stuff (yet to come) and some other test rolls. It was all processed together in the same chemistry (and everything else yielded results). Sadly, the Kodacolor II was a total bust. There’s a minuscule difference in the coloration of the leader vs. the rest of the film (slightly pinker and a tiny bit darker on the leader), but even under close inspection there’s nothing on there at all — at least nothing discernible or usable. 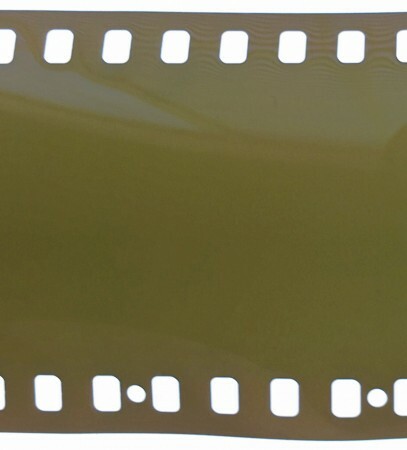 The film is essentially clear, and the base appears to be an illness-inducing pea-soup color. 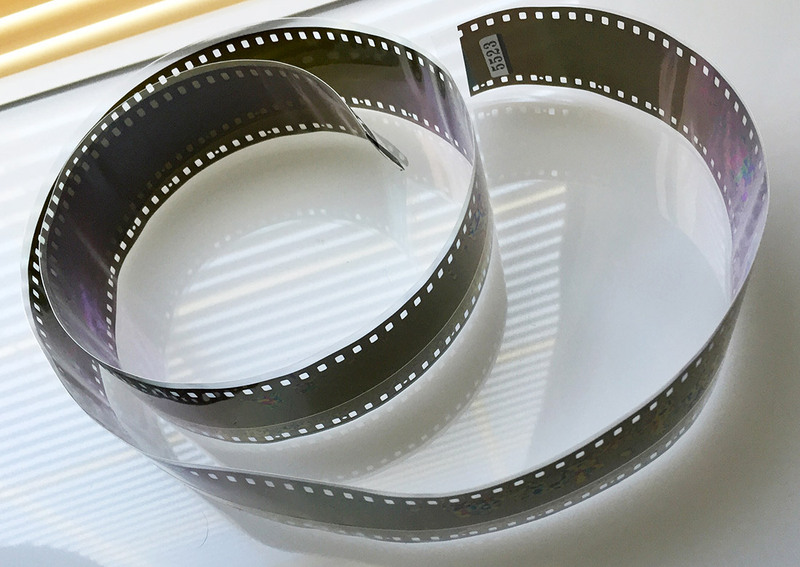 The edge marks are there, though very faint (but the edge marks on other films I’ve used from this era are typically more faint than with more modern films). If I didn’t know better, I’d guess it was unexposed. But I’ve double- and triple-checked the hardware. I’m confident the film was simply no good. Whatever, I can handle it being trashed. I got results from 3/4 of the film I used on Expired Film Day, March 15, 2016. I’ve got five more rolls’ worth of posts coming up — and they’ve all got results. Some are even pretty good.